Whether you adhere to the Special Principle of Libertarianism (the Zero Aggression Principle/Non-aggression Principle) or the General Principle of Libertarianism (the Zero Archation Principle) you personally accept that this reminds you that you have no right to either initiate force or to archate, depending on your favored version. Now I can't speak for you, but if I have no right to do something, I take that to mean I shouldn't do that thing. Maybe you see it differently. And whether you do or not is up to you, and changes nothing on my end. 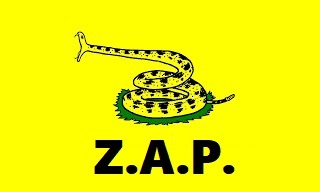 When I say I'm a libertarian and that this means I live by the ZAP, I mean that this is a promise from me to you. I accept that I have no right to archate, and I will always aim to live up to that. If I fail, I accept that you have the right to defend yourself and your property. It's also a warning of sorts. If you choose to archate, there is no law (or legislation) which can void my right to self-defense, defense of others, or defense of private property. None. If I believe you have the upper hand, I might choose to not employ defensive measures, but it's not guaranteed. Take the risk if it means that much to you. Accept my promise or ignore it. It remains the same either way.